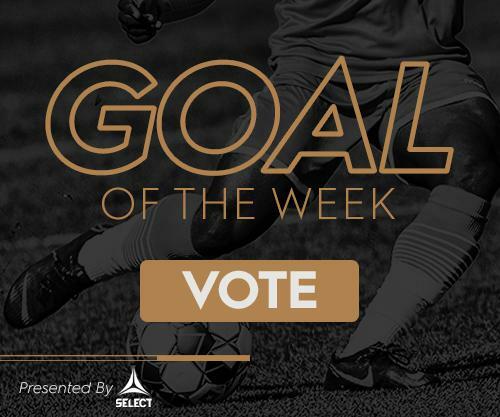 Louisville City FC captured a crucial home win against North Carolina FC thanks to a Cameron Lancaster double, which broke the single-season USL record for goals scored. A Pink Match was on hand Tuesday evening when Louisville City hosted North Carolina FC in City’s second-to-last home match of the regular season. 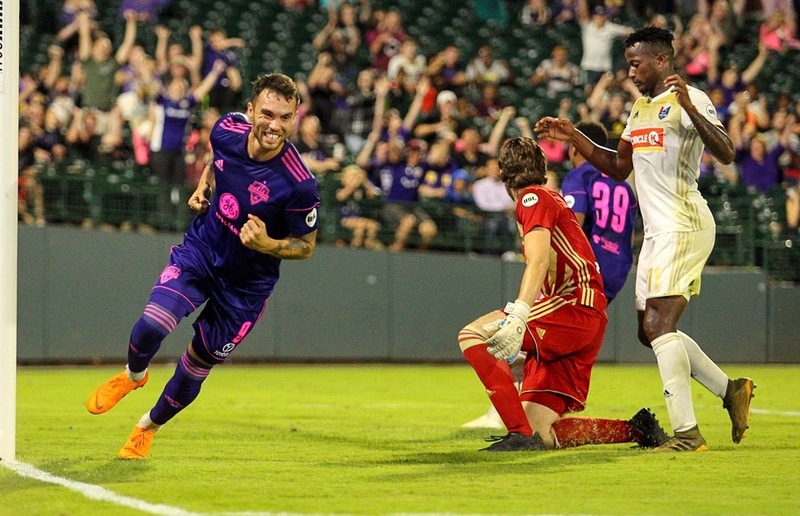 After not starting in last Friday’s 1-4 win over Atlanta United 2, forward Cameron Lancaster returned to the Louisville City lineup alongside goalkeeper Greg Ranjitsingh who returns after a rib injury left him sidelined the previous 2 matches. From the kickoff through the first 35 minutes, it was Louisville City who dominated possession time and shots taken, though the visitors would open the scoring sheet. A run along the goal line by North Carolina’s Steve Miller created an opening for Daniel Rios, who slipped one past Ranjitsingh for the night’s first goal. Rios’s strike was his 18th of the season, just four behind Lancaster at the moment. The “Boys in Purple” would be held scoreless entering the half. No more than two minutes into the second 45, Lancaster struck a beautiful ball from distance after receiving a pass from Paco Craig, blasting it past NCFC ‘keeper Alex Tambakis to knot the match at 1-1. The rip from near midfield was Lancaster’s 23rd of the year, breaking the USL’s record for the number of goals scored in a single season. Little action would follow the historic goal until Lancaster, yet again, found the back of the net thanks to a through ball from Ilija Ilic in the 84th minute. Louisville City would go on to win the match 2-1, maintaining sole possession of second place in the Eastern Conference. Goalkeeper Greg Ranjitsingh returned to the pitch after a rib injury forced him out of the 4-0 home win over Ottawa Fury FC on September 22nd. Cameron Lancaster’s 47th-minute strike was good for his 23rd of the season, breaking the USL single-season record for goals scored.